We are a full-service hospital providing a wide range of services and products to meet the special health care needs of your feline family members. We emphasize a warm, friendly, clean environment where you can trust us with your kitties' health and well-being. 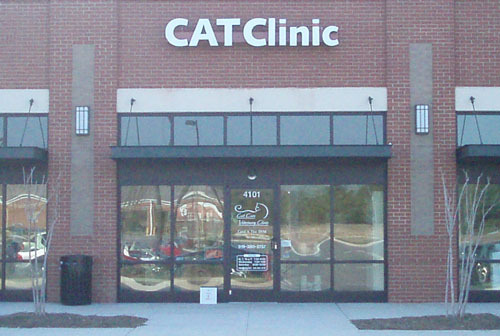 Our clinic is for cats, and cats only. No doggie smells or noise! The staff of Cat Care Veterinary Clinic understand that felines are unique creatures in regards to both handling and medicine. Dr. Tice has been limiting her practice to just cats since 1995. The whole staff spends all of their working days surrounded by cats and cat owners. We love what we do and we all think that it shows as soon as you walk into our clinic. Please come in to meet us! 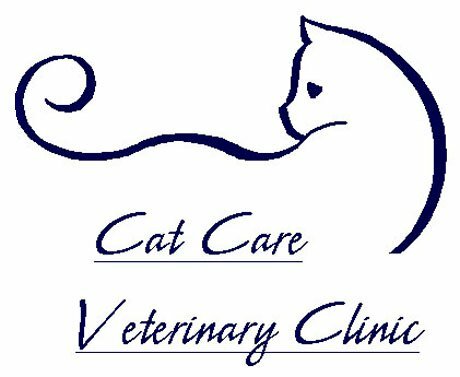 Our goal is to provide state-of-the art veterinary care for your kitty, while minimizing the stress to him or her, as well as to his or her owner. No kitty likes going to the vet, but we will strive to make these visits as comfortable as possible. Every patient gets a hug and a kiss (kitty willing). We understand that these furry companions are a part of your family, and we treat them with the love and respect they deserve. We offer laser surgery. The benefits of laser are especially apparent with the surgical declaw procedure - less pain medication is required as opposed to the traditional scalpel blade method and most patients are up and walking within an hour. The Cornell Feline Health Center has created an online instructional video series demonstrating such common treatments as medicating your cat in either pill or liquid form, trimming your cat's claws, taking her temperature, and brushing your cat's teeth. Click here to see the videos. You can call us at 919-380-2737 to make an appointment.